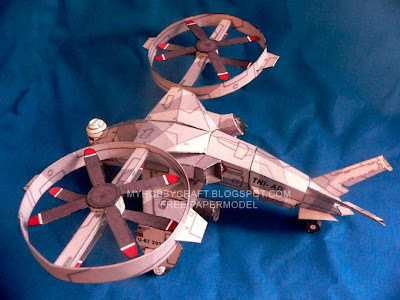 An Unmanned Combat Air Vehicle or UCAV papercraft from Rizkyinspired by the gunship on Avatar movie. 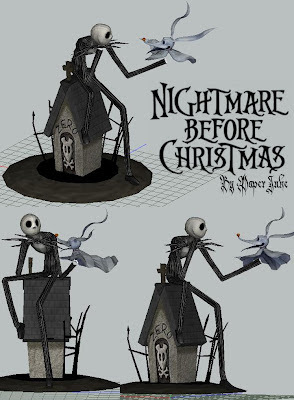 A Nightmare Before Christmas diorama featuring Jack Skellington and his ghost pet Zero. 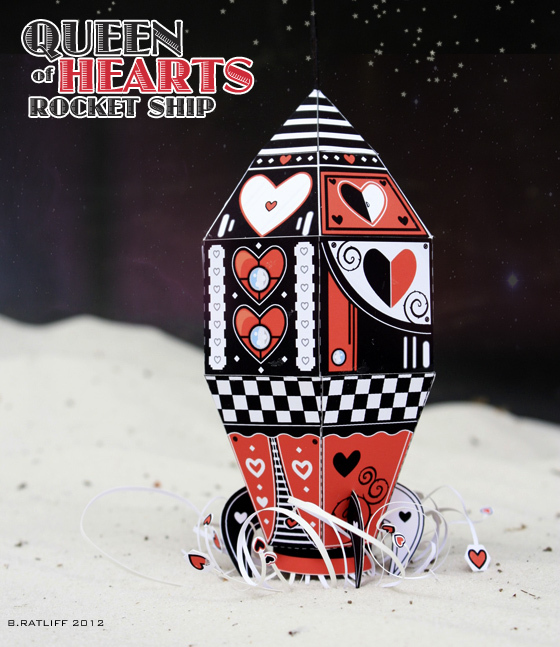 A hot red speed boat scaled at 1:40 by Chris Ryan. 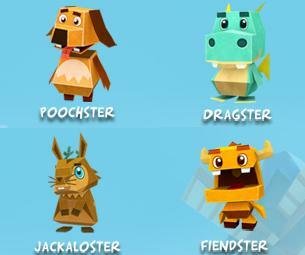 A papercraft based on the ancient small humanoid and animal figurines called Dogū. These are believed to have originated from the late Jōmon period (14,000–400 BC) of prehistoric Japan. The tombstone of Jack's ghost pet dog Zero as seen in Nightmare Before Christmas. B. Ratcliff's latest paper toy is composed of a rocket ship that comes with the Queen of Hearts in the cockpit. 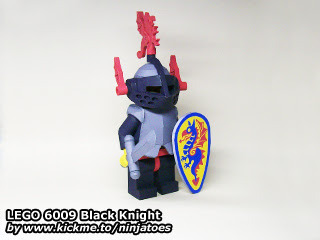 A papercraft model by Ninjatoes based on the LEGO 6009 Black Knight Minifig that came out in the early 90s. 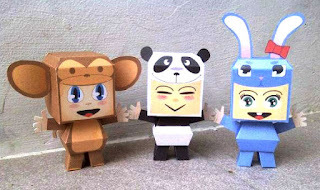 New set of paper toys from Bamboogila's Corner. A beautiful character from the anime Puella Magi. Homura is a magical girl who was first seen in an apocalyptic nightmare of Madoka's. 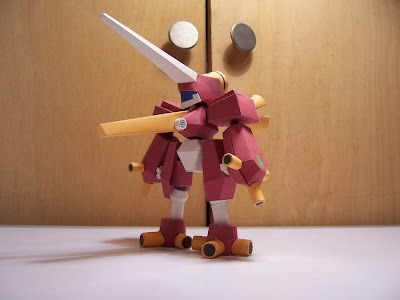 Model by Kujiracraft. 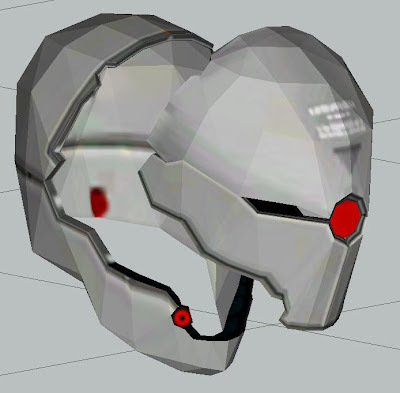 A papercraft helmet of the high-tech exoskeleton Cyborg Ninja from the Metal Gear video games. 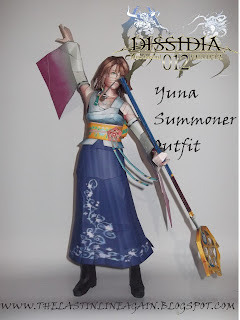 It's Yuna of Final Fantasy wearing her summoner outfit in the PSP fighting game Disidia 012: Final Fantasy. Four new Battlemechs: CBT Argus, Linebacker, Orion and Penetrator. 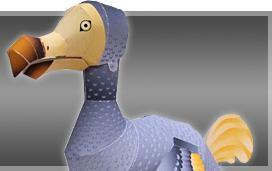 No one has seen a real Dodo (Raphus cucullatus) since they were hunted to extinction in the 17th century. I guess we can only see this beautiful creature through paintings and of course, this papercraft model from Kizuna-Avenue. 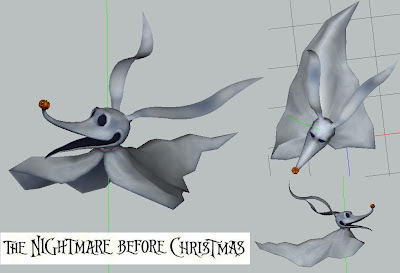 Zero is the ghostly dog character of Disney's 1993 stop-motion film The Nightmare Before Christmas. This model has 27 pages of parts. 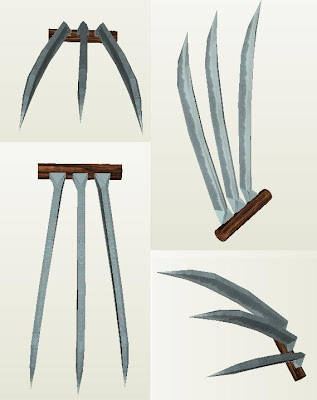 Mehrunes' Razor is a mythical blade that is capable of slaying any creature instantly. It belongs to Mehrunes Dagon, one of the seventeen Daedric Princes of Oblivion. 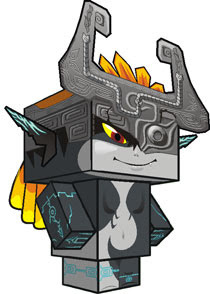 A Cubee papercraft of Midna, one of the main characters of Nintendo's 2006 video game The Legend of Zelda: Twilight Princess. 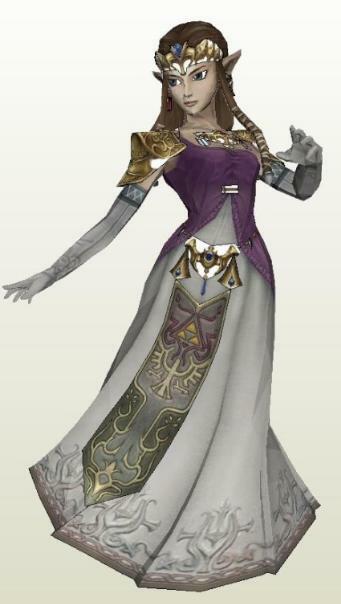 She is a member of the fictional race of Twili magic-wielders. 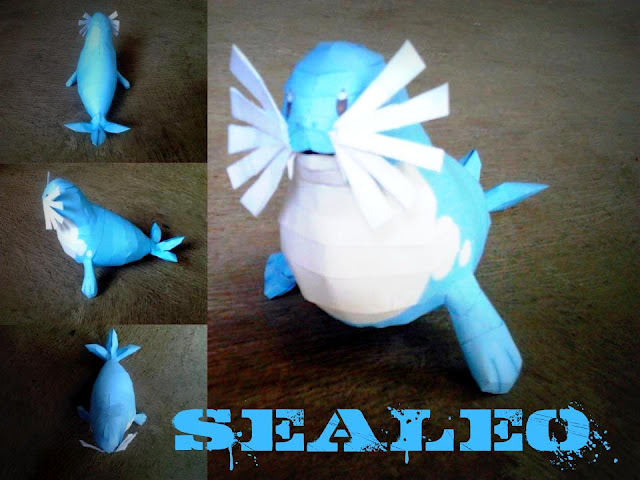 A very cute baby seal papercraft designed by Julius Perdana to celebrate his newborn son. 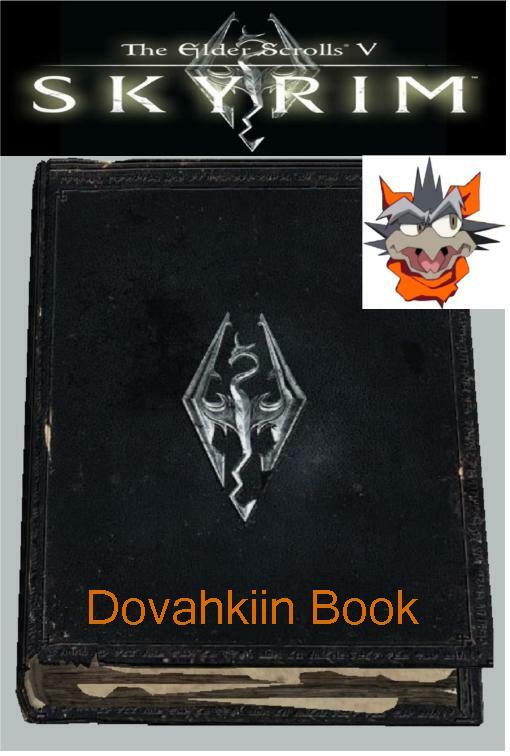 The Book of Dragonborn from the Elder Scrolls V depicts events from all the previous Elder Scrolls games. The Daggerfall, Morrowind, Oblivion, and Skyrim are all part of the prophecy leading up to the advent of the Dragonborn. 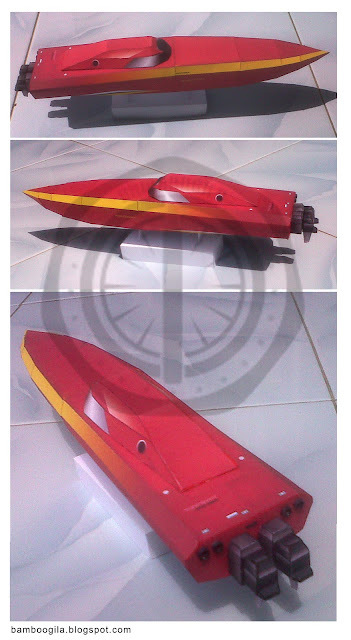 A recolored version of Paper Replika's Piaggio P-180 that features the Italian Coast Guard livery. Lynx is a boss and a nemesis of Serge, the main character in Square's Playstation 1 RPG Chrono Cross. 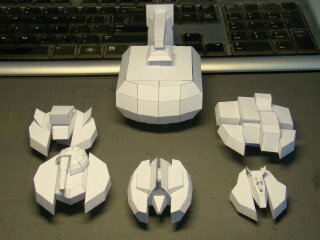 A papercraft model of Wolverine's Adamantium claws. 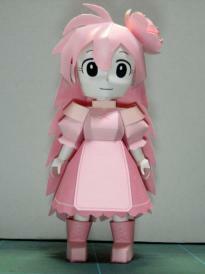 An all pink papercraft of Mona Chan from tfrog. 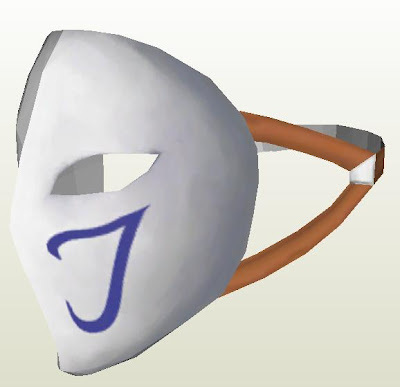 A 3D render of the NPC marker arrow from Guild Wars by Sinner. 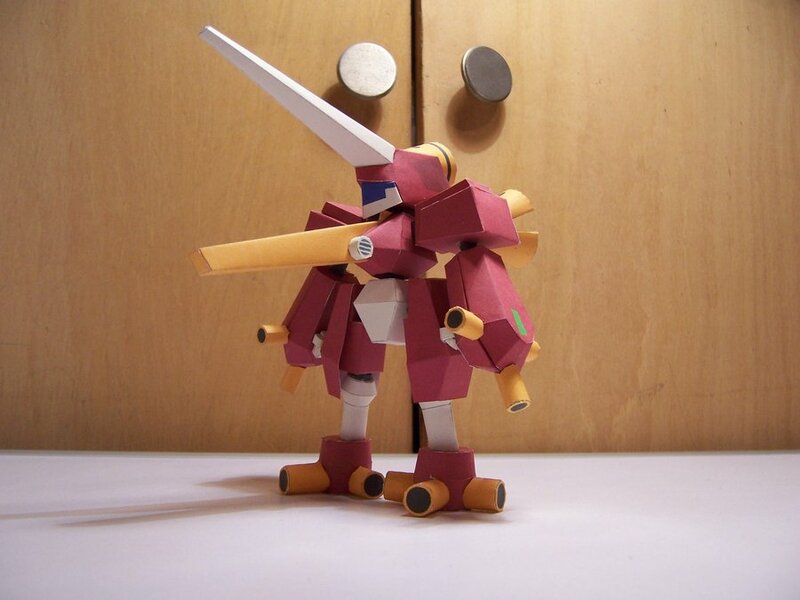 Arcbeetle is a KBT-type Medarot that first appeared in Medarot R video game of the Playstation console. It's design was based on a hercules beetle. Papercraft by StormL. A replica of the typical Mortal Kombat arcade machine from Midway in the 90's. 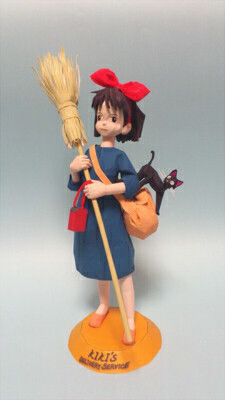 Kiki is a 13-year-old witch trainee from the 1989 Japanese animated fantasy film Kiki's Delivery Service. 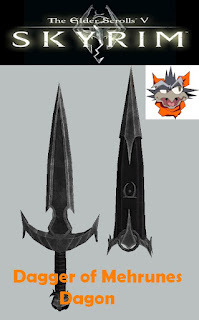 This papercraft from kujiracraft comes with the black cat Jiji. This colorful structure called Sugarcube Corner is a bakery owned by Mr. and Mrs. Cake and Pinkie Pieand in My Little Pony. 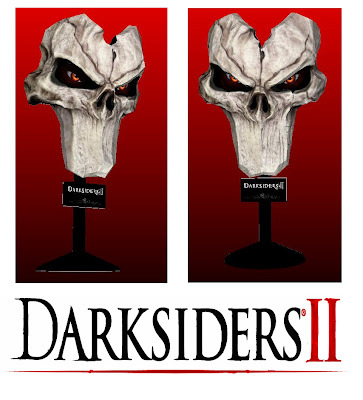 Death's mask papercraft from Vigil Games' action adventure role-playing Darksiders II. 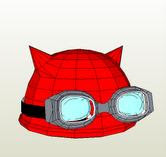 A wearable helmet papercraft of Bossun (Yūsuke Fujisaki), the leader of the Kaime High School's Sket Dan club from the anime/manga Sket Dance. 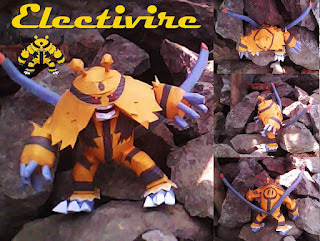 Electivire is an electric-type Pokémon that evolves from Electabuzz. 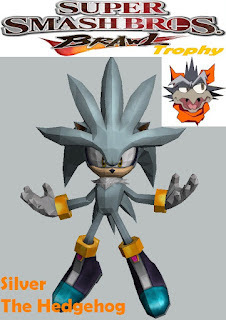 It is the final form of Elekid. A lifesize model of Twilight Princess from Paperjuke. 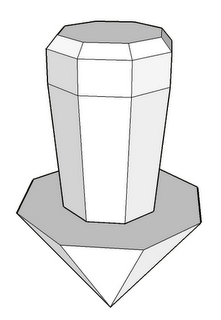 When buils, the model stands at 1.70 meters and consists of 198 pages of parts. 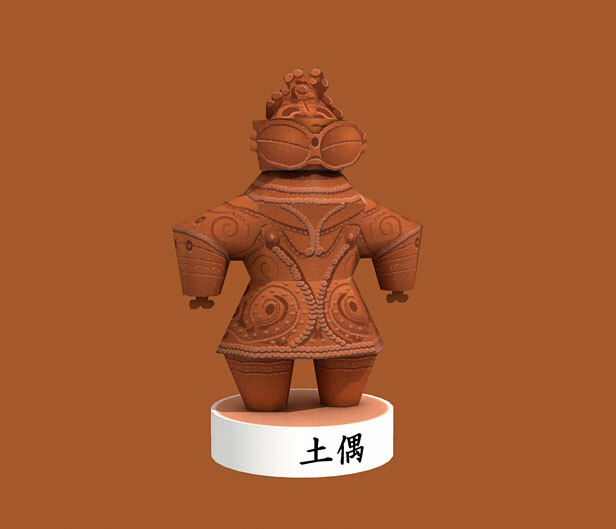 The seventh and final Sage in studioofmm's The Summer of the Sages series. 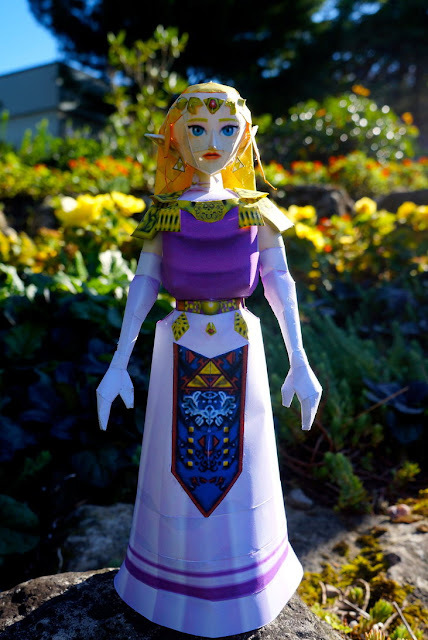 The model's based on Princess Zelda from Ocarina of Time and stands at 22cm (8.5") tall. 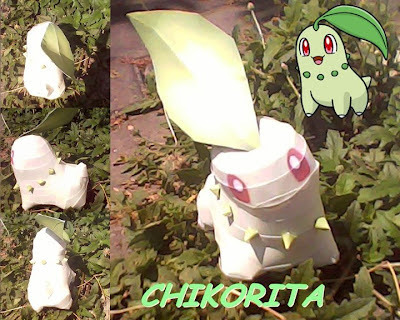 Chikorita is a grass-type Pokémon that evolves into Bayleef and into its final form Meganium. It is also one of the three starter Pokémon of Johto along with Cyndaquil and Totodile. 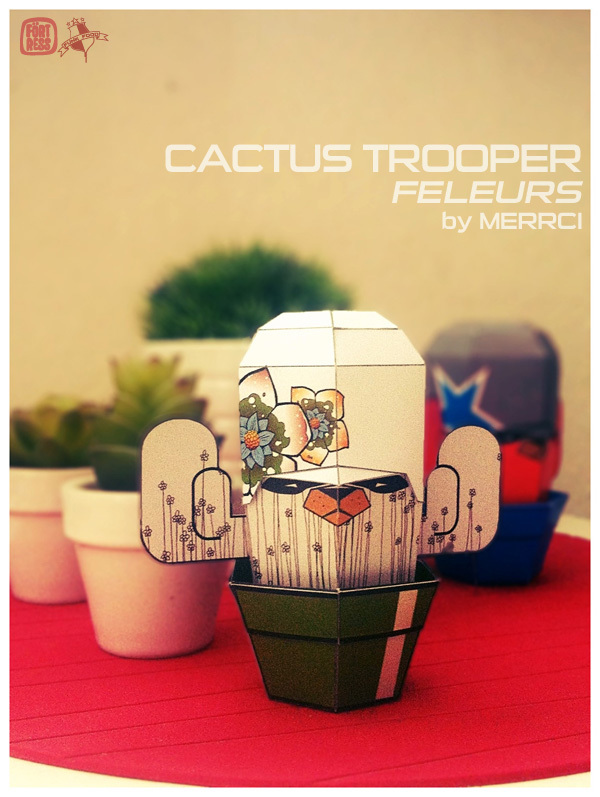 A new Cactus custom from Merrci. Sealeo is a dual-type ice/water Pokémon that evolves from Spheal and into its final form Walrein. 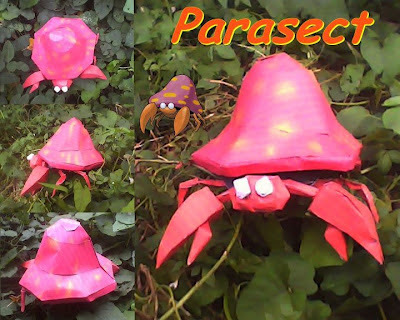 Parasect is a dual-type bug/grass Pokémon that evolves from Paras. Street Dog Fighter based on the Street Fighter character Guile. 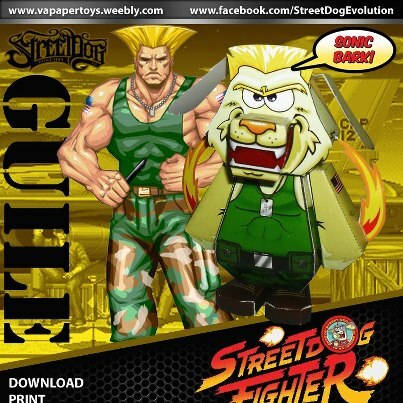 His special move is called "Sonic Bark." 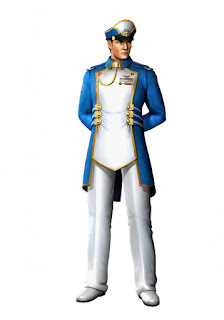 Commander Adam Malkovich was the military genius who served in both the Federation Police and the Galactic Federation Army. 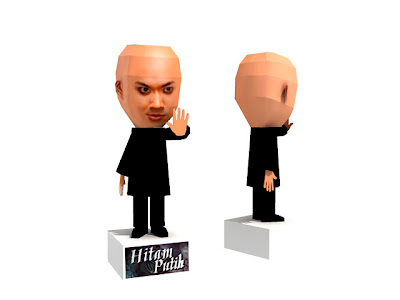 He's the Commanding Officer to Samus Aran during her time in the Galactic Federation. 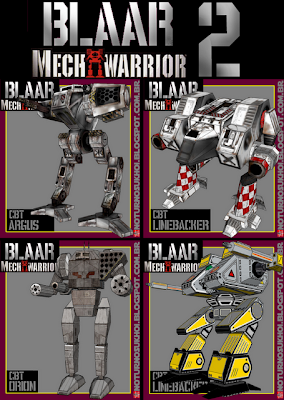 The Advanced Black Goliath M.A.U (Massive Armor Unit) is a a melee mecha specialist from the Korean 3d MMORPG RF Online. This papercraft by Hendy Hanzo contains 17 pages of parts. Baykiddead has posted an image of the next 5 toys he's going to fold HERE. You have to identify the toys in numerical order and head over to twitter, follow him, and then send 5 tweets using @baykiddead and the number and name of the toy. A template will be awarded to the first person to submit all 5 correct answers, and one each to a random correct entry and a correct entry of his choice. 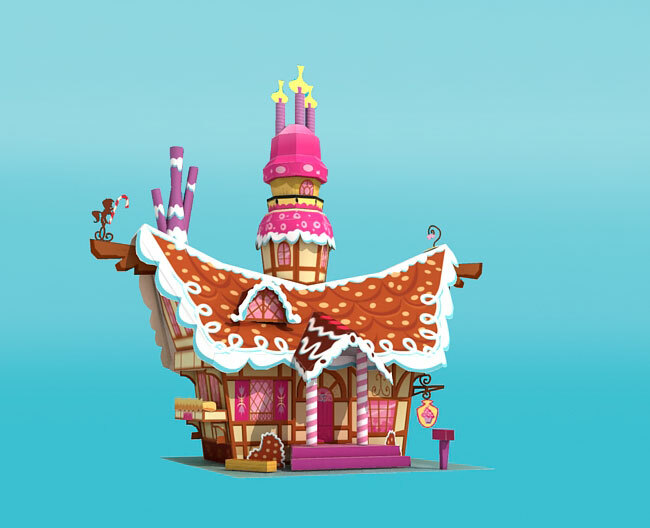 The contest will run for just one week so hurry! You must be living in a cave if you still haven't heard the song "Call Me Maybe." 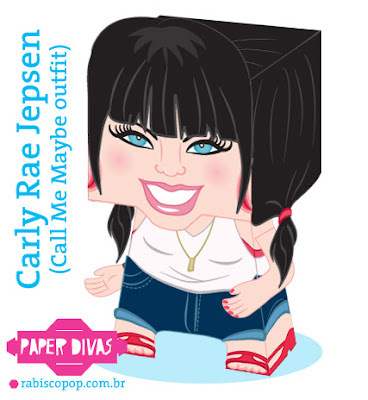 The song's from the Canadian recording artist Carly Rae Jepsen and the last time I checked, her Youtube MTV has received over 200 million views. 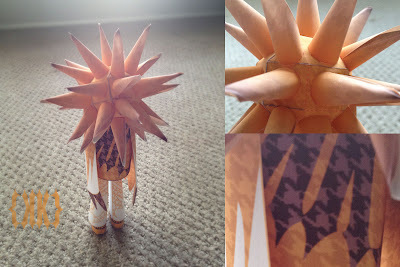 She certainly deserves to be a part of Rabiscopop's line-up of Paper Divas. ExtortionBot is well equipped to operate on your computer failures due to leaks and viruses with the help of Norton. 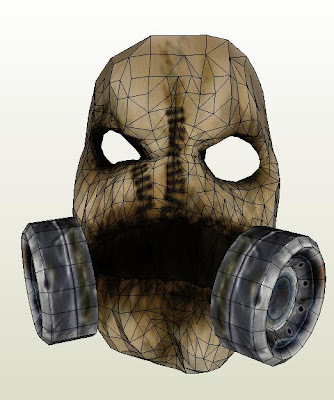 A model of the mask worn by Vega, a boss in the Street Fighter fighting video game. 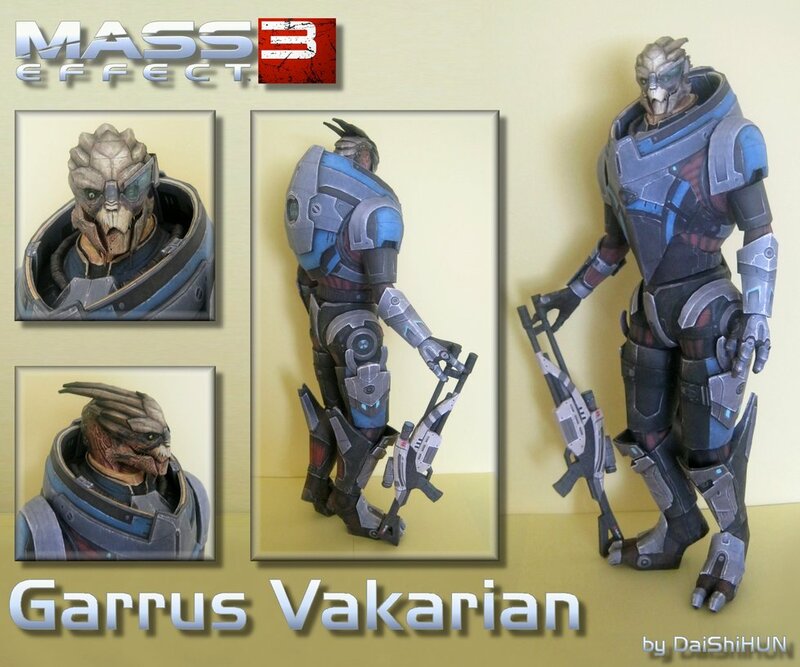 Garrus Vakarian was a Turian agent from the C-Sec's Investigation Division. This model by DaiShiHUN is based on Mass effect 3. A papercraft Deddy Corbuzier, the host of the Indonesian television show "Hitam Putih" (Black and White) Trans-7. 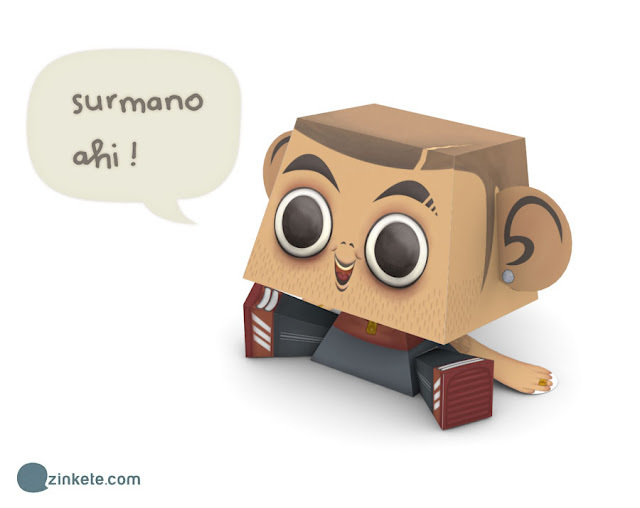 A papercraft based on El Cabeza, a character played by Alfonso Sanchez in the 2012 Spanish movie El Mundo es Nuestro.